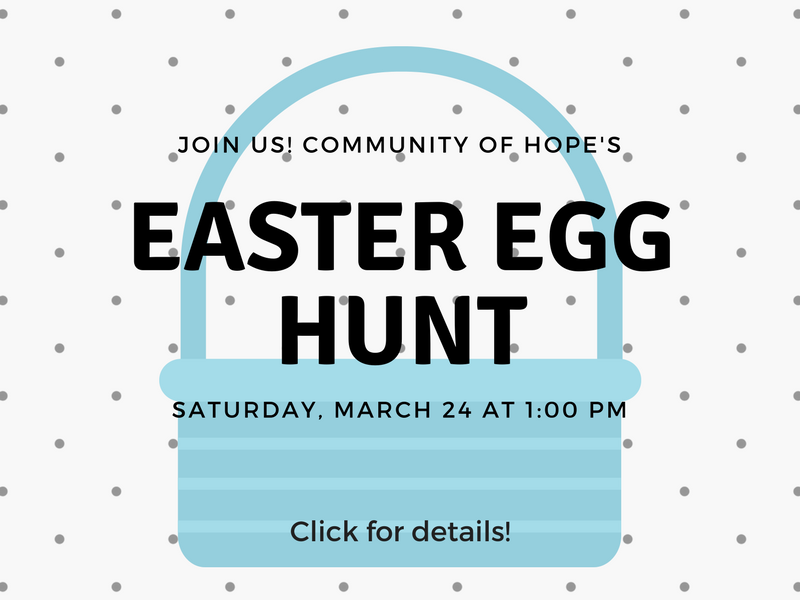 Free Easter Egg Hunt at Community of Hope! We're hiding 1,800 eggs. After the hunt, kids and parents are invited to join us inside for coffee and pastries for parents, and trivia with prizes for the kids! Kids of all ages, and their parents! Family, friends, neighbors, etc. welcome --- we're hiding 1800 eggs, so no RSVP necessary! The more the merrier. Saturday, March 24 at 1:00 PM. *Our rain out date is 3/31, if needed. Check back for weather updates.